NASA JHUAPL Parker Solar Probe approaches the sun. Researchers at the Applied Physics Lab develop a shield strong enough to protect the spacecraft’s sensitive instruments during its mission to “touch” the sun. “You want to take a touch of the back surface?” she invites a NASA T-shirt-clad volunteer. The demonstration, dubbed “Blowtorch vs. Heat Shield” on YouTube, represents the culmination of years of research, trial and error, and painstaking analysis by engineers at the Johns Hopkins University Applied Physics Laboratory to solve what they call the “thermal problem” of the Parker Solar Probe, a spacecraft that will travel within 4 million miles of the surface of the sun. The “thermal problem” is a gentle way of referring to the complications of performing this record-breaking dive directly into our star’s outer atmosphere, or corona. While the Parker Solar Probe orbits the star and records data with its onboard instruments, a thermal protection system, or TPS, will shield the spacecraft from the heat. Combined with a water-powered cooling system, the TPS will keep the majority of the spacecraft’s instruments at about 85 degrees Fahrenheit—a nice summer day—while the TPS itself endures a temperature of 2500 degrees Fahrenheit. The Parker Solar Probe is expected to launch from Kennedy Space Center in Cape Canaveral, Florida, this month—its launch window opens Saturday and runs through Aug. 23. During its seven-year mission, it’ll explore some of the sun’s greatest mysteries: Why is the solar wind a breeze closer to the sun but supersonic torrent farther away? Why is the corona itself millions of degrees hotter than the surface of the sun? What are the mechanisms behind the astoundingly fast-moving solar energetic particles that can interfere with spacecraft, disrupt communications on Earth, and endanger astronauts? The launch will conclude 60 years of planning and effort, and more than a decade spent creating the heat shield that deflects the worst of the sun’s energy. The foam also performs the heat shield’s most essential structural functions. Carbon itself conducts heat, but carbon foam is 97 percent air. In addition to cutting the weight of the spacecraft to help it get into orbit, the foam structure means there’s just not that much material for heat to travel through. The heat shield will be 2500 degrees Fahrenheit on the side facing the sun, but only 600 degrees Fahrenheit at the back. The foam wasn’t easy to test. It’s extremely fragile, and there was another problem. “When you get it hot, it can combust,” Abel says. Combustion isn’t an issue in a vacuum (like in space), but leftover air in test chambers would cause the foam to char. So the engineers built their own vacuum chamber at Oak Ridge National Laboratory, where a high-temperature plasma-arc lamp facility could heat the material to the incredible temperatures the heat shield would endure. But all of the carbon foam’s impressive heat-dispersing properties weren’t enough to keep the spacecraft at its required temperature. Because there’s no air in space to provide cooling, the only way for material to expel heat is to scatter light and eject heat in the form of photons. For that, another layer of protection was necessary: a white coating that would reflect heat and light. For that, APL turned to the Advanced Technology Laboratory in Johns Hopkins University’s Whiting School of Engineering, where a fortunate coincidence had led to the assembly of a heat shield–coating dream team: experts in high-temperature ceramics, chemistry, and plasma spray coatings. Typically when working with enamel, Nagle says, a hard, nonporous coating is preferred—one that’ll crack when hit with a hammer. But under the temperatures faced by the Parker Solar Probe, a smooth coating would shatter like a window hit with a rock. Instead the goal was a uniformly porous coating that would withstand extreme environments. When cracks start in a porous coating, they’ll stop when they hit a pore. The coating was made of several rough, grainy layers—enough that one set of ceramic grains would reflect light that another layer misses. After the Parker Solar Probe launches, it will spin repeatedly around Venus in a gradually narrowing orbit that will take it closer and closer to the sun. Scientists are eagerly awaiting the flood of new data from the probe’s instruments, but those who helped make the heat shield a reality say the thrill will be in seeing that final dip into the sun’s atmosphere, seven times closer than any previous spacecraft, the car-sized probe and its precious cargo defended from the sun’s might by their work. JHU’s Applied Physics Lab will manage DART mission, which is moving from concept development to preliminary design phase. NASA is moving forward with a plan to develop a refrigerator-sized spacecraft capable of deflecting asteroids and preventing them from colliding with Earth. 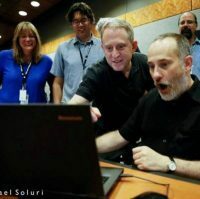 The Double Asteroid Redirection Test, or DART, is being designed and would be built and managed by scientists at the Johns Hopkins Applied Physics Laboratory. NASA approved a move from concept development to the preliminary design phase on June 23. DART would use what is known as a kinetic impactor technique—striking the asteroid to shift its orbit. The impact would change the speed of a threatening asteroid by a small fraction of its total velocity, but by doing so well before the predicted impact, this small nudge will add up over time to a big shift of the asteroid’s path away from Earth. 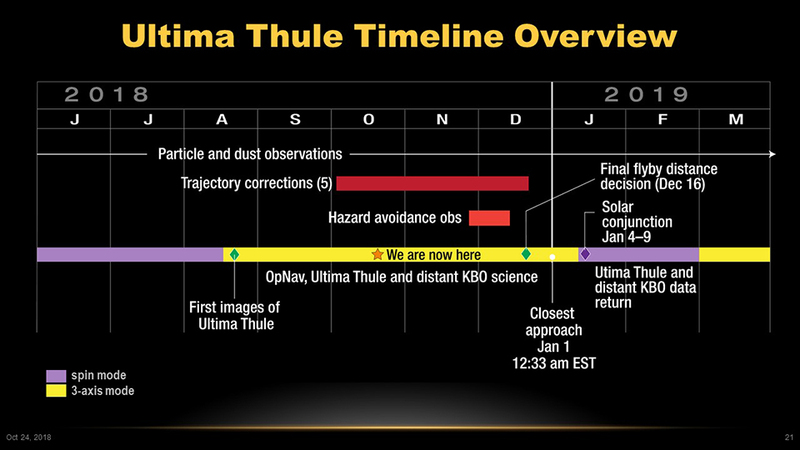 A test with a small, nonthreatening asteroid is planned for 2024. Small asteroids hit Earth almost daily, breaking up harmlessly in the upper atmosphere. Objects large enough to do damage at the surface are much rarer. 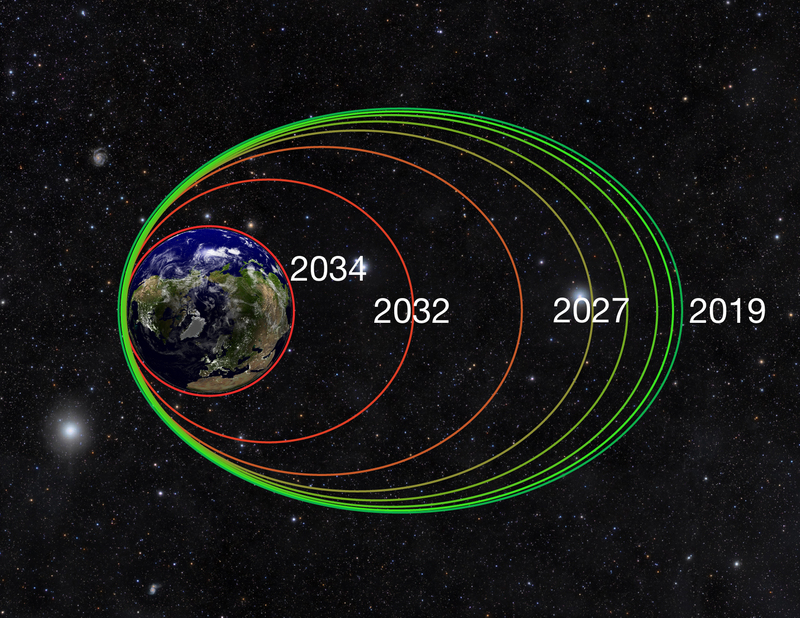 The target for DART’s first test is an asteroid that will have a distant approach to Earth in October 2022, and then again in 2024. The asteroid is called Didymos—Greek for “twin”—because it’s an asteroid binary system that consists of two bodies: Didymos A, about one-half mile in size; and a smaller asteroid orbiting it called Didymos B, about 530 feet in size. DART would impact only the smaller of the two bodies, Didymos B. After launch, DART would fly to Didymos and use an APL-developed onboard autonomous targeting system to aim itself at Didymos B. Then the spacecraft would strike the smaller body at a speed about nine times faster than a bullet, approximately 3.7 miles per second. 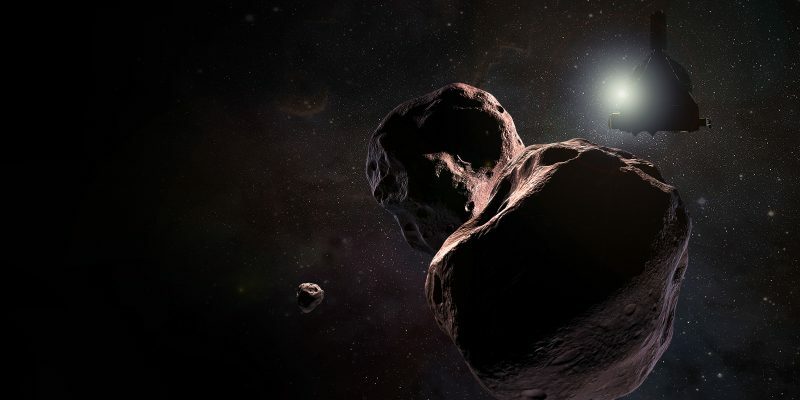 Earth-based observatories would be able to see the impact and the resulting change in the orbit of Didymos B around Didymos A, allowing scientists to better determine the capabilities of kinetic impact as an asteroid mitigation strategy. Objects larger than 0.6 miles in diameter—large enough to cause global effects—have been the focus of NASA’s ground-based search for potentially hazardous objects with orbits that bring them near the Earth. 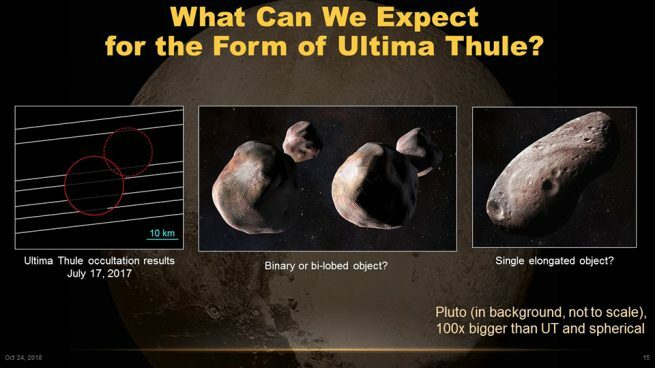 About 93 percent of these sized objects have already been found, NASA says. DART would test technologies to deflect objects in the intermediate size range—large enough to do regional damage yet small enough that there are many more that have not been observed and could someday hit Earth. 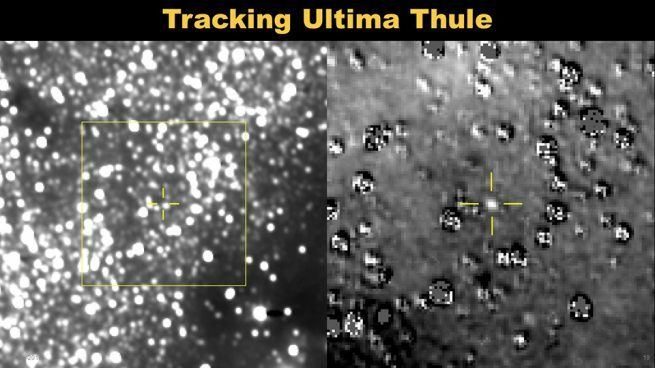 NASA-funded telescopes and other assets continue to search for these objects, track their orbits, and determine if they are a threat. To assess and formulate capabilities to address these potential threats, NASA in 2016 established its Planetary Defense Coordination Office, which is responsible for finding, tracking, and characterizing potentially hazardous asteroids and comets coming near Earth; issuing warnings about possible impacts; and assisting plans and coordination of U.S. government response to an actual impact threat. ESA/AIM will work in concert with DART. As NASA’s Parker Solar Probe spacecraft begins its first historic encounter with the sun’s corona in late 2018—flying closer to our star than any other mission in history—a revolutionary cooling system will keep its solar arrays at peak performance, even in extremely hostile conditions. Every instrument and system on board Parker Solar Probe (with the exception of four antennas and a special particle detector) will be hidden from the sun behind a breakthrough thermal protection system, or TPS—an eight-foot-diameter shield that the spacecraft uses to defend itself against the intense heat and energy of our star. Every system will be protected, that is, except for the two solar arrays that power the spacecraft. When the spacecraft is closest to the sun, the solar arrays will be receiving 25 times the solar energy they would while orbiting Earth, and the temperature on the TPS will reach more than 2,500 degrees Fahrenheit. The cooling system will keep the arrays at a nominal temperature of 320°F (160°C) or below. “Our solar arrays are going to operate in an extreme environment that other missions have never operated in before,” said Mary Kae Lockwood, the spacecraft system engineer for Parker Solar Probe at the Johns Hopkins Applied Physics Lab. The solar array cooling system for the Parker Solar Probe spacecraft is shown undergoing thermal testing at NASA Goddard Space Flight Center in Greenbelt, Maryland, in late February. Image credit: NASA/JHUAPL . The incredible heat of our star would damage conventional spacecraft arrays. So, like many other technological advances created especially for this mission, a first-of-its-kind actively cooled solar array system was developed by APL, in partnership with United Technologies Aerospace Systems, which manufactured the cooling system, and SolAero Technologies, which produces the solar arrays. The Parker Solar Probe cooling system has several components: a heated accumulator tank that will hold the water during launch (“If water was in the system, it would freeze,” Lockwood said); two-speed pumps; and four radiators made of titanium tubes and sporting aluminum fins just two hundredths of an inch thick. As with all power on the spacecraft, the cooling system is powered by the solar arrays—the very arrays it needs to keep cool to ensure its operation. At nominal operating capacity, the system provides 6,000 watts of cooling capacity—enough to cool an average-sized living room. Somewhat surprisingly, the coolant used is nothing more than regular pressurized water—approximately five liters, deionized to remove minerals that could contaminate or harm the system. Analysis showed that during the mission, the coolant would need to operate between 50°F and 257°F—and few liquids can handle those ranges like water. “Part of the NASA technology demonstration funding was used by APL and our partners at UTAS to survey a variety of coolants,” said Lockwood. “But for the temperature range we required, and for the mass constraints, water was the solution.” The water will be pressurized, which will raise its boiling point above 257°F. When Parker Solar Probe launches on board a ULA Delta IV Heavy rocket from Cape Canaveral Air Force Station in Florida in summer 2018, the cooling system will undergo wide temperature swings. “There’s a lot to do to make sure the water doesn’t freeze,” said Lockwood. First, temperatures of the solar arrays and cooling system radiators will drop from that in the fairing (about 60°F) to temperatures ranging from –85°F to –220°F before they can be warmed by the sun. The pre-heated coolant tank will keep the water from freezing; the specially designed radiators—designed to reject heat and intense temperatures at the sun—will also survive this bitter cold, thanks to a new bonding process and design innovations. When Parker Solar Probe is hurtling past the sun at some 450,000 miles an hour, it will be 90 million miles from mission controllers on Earth—too far for the team to “drive” the spacecraft. This means that adjustments to how the spacecraft is protecting itself with the TPS need to be handled by Parker Solar Probe’s onboard guidance and control systems. 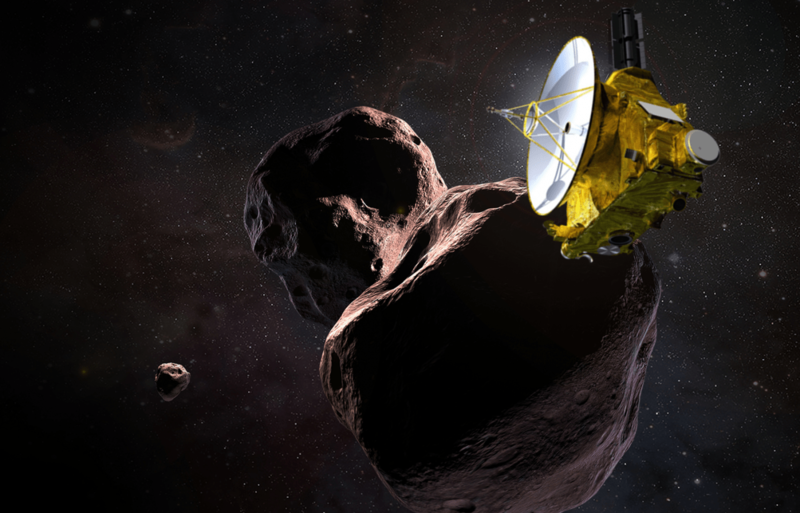 These systems use new and effective autonomous software to allow the spacecraft to instantly alter its pointing to maximize protection from the sun. This autonomous capability is critical to the operation of the spacecraft’s solar arrays, which must be constantly adjusted for optimal angle as Parker Solar Probe hurtles through the sun’s harsh, superheated corona. That autonomy, along with the new cooling system and pioneering solar array upgrades, will be crucial to ensuring that Parker Solar Probe can perform the never-before-possible science investigations at the sun that will answer questions scientists have had about our star and its corona. More details about the mission’s objectives are available online.